it was again a longer break since our last update. 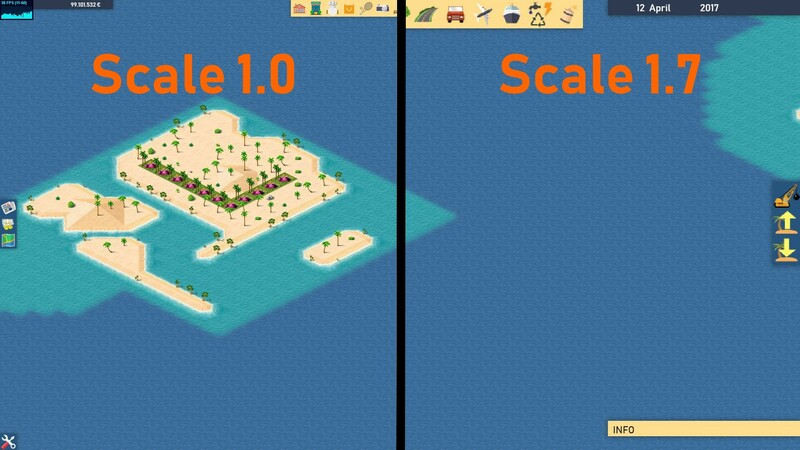 We’ve been working on new content for Summer Islands for a couple of weeks now, but only now are we going to publish it. On our Steamforum there are a lot of questions about the release date in relation to 2018. Before I come to the new content I wanted to go into it again. 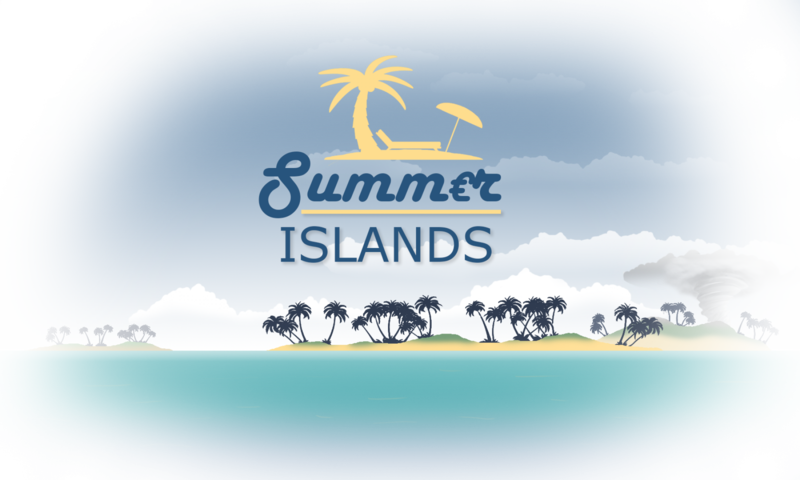 We know that the year is almost over and Summer Islands is still not in early access. We have to thank you for your patience. 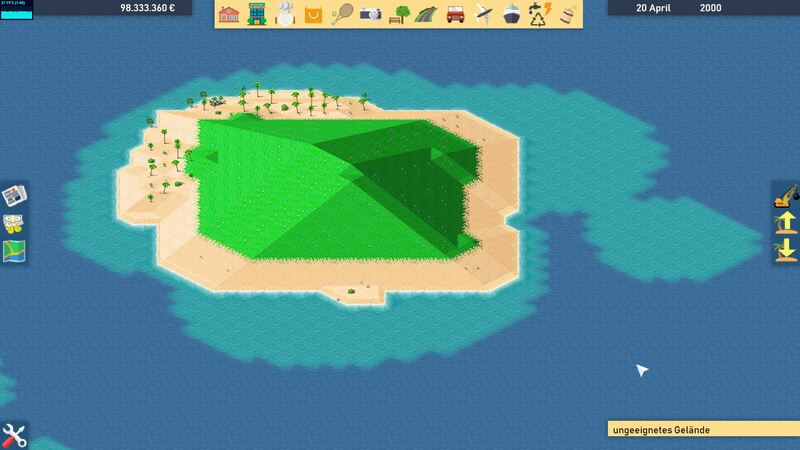 We still have a lot of features for Summer Islands which we haven’t mentioned yet and which we still want to implement. There isn’t anything worse than a half-finished game and unfortunately this is becoming more and more normal nowadays just to generate more sales with more and more games. The good thing for you is: because we program Summer Islands in our spare time, we are not financially tied to a schedule/fund donor. 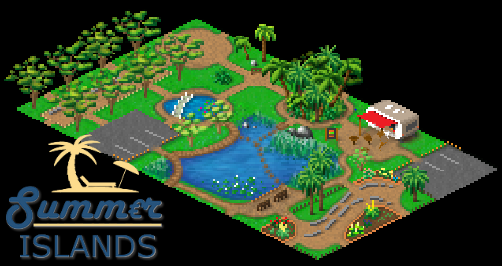 This allows us to realize the features Summer Islands needs and makes Summer Islands even better. 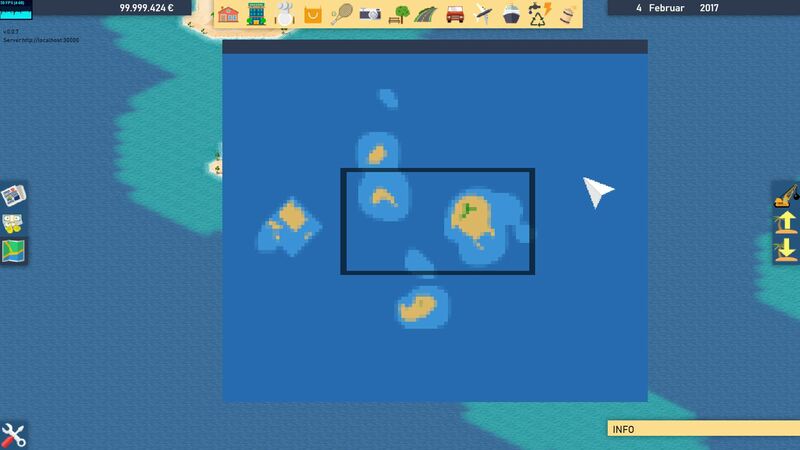 The bad news is: We are only a 3 person team, spread over different continents, that Summer Islands creates in our spare time. With that we always have a full schedule and believe me, it’s already scratching your conscience if no new update has been created for you every week. But now to our smaller update: we have redesigned our building construction menu in the last weeks. Ergonomics and clarity are especially important to us in Summer Islands. We try to make every aspect of the game as familiar as possible. So that there is no irritation during the course of the game. We want to create a natural game flow. 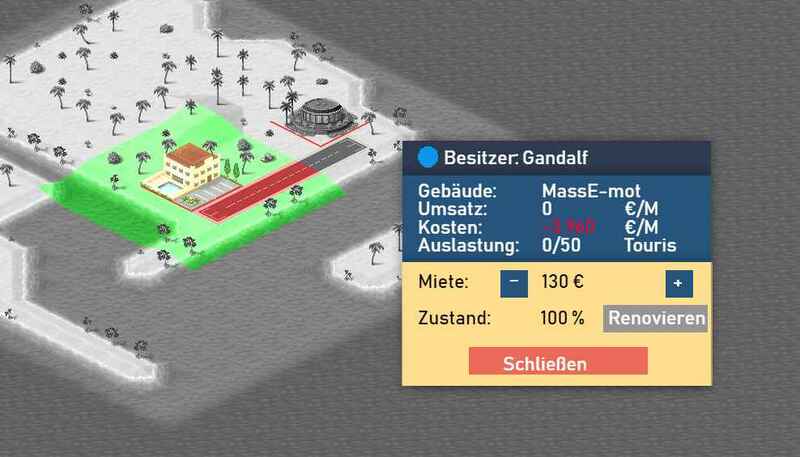 So we adapted the building construction menu with all buildings rather to the well-known touch menus and equipped it with more icons and pictures. 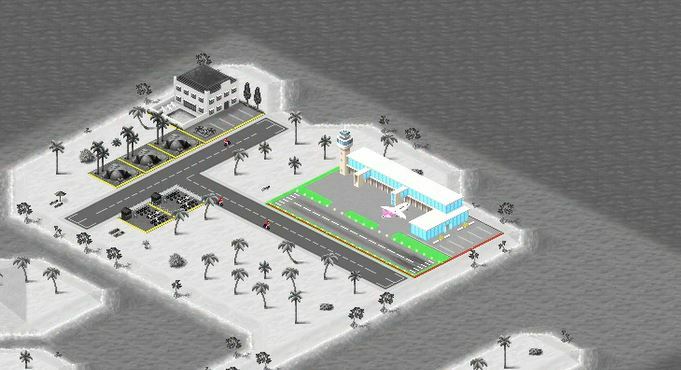 The advantage of the new design is the larger space to present more information about the building to the player and the easier comparison of buildings with each other. You can really say that we just had summer break. Not only in Germany it is usually much too hot to work, also here in Down Under the heat does not exactly contribute to work. In addition, in the outback there is not really often Internet and more often no electricity. So not the optimal conditions to move Summer Islands forward. 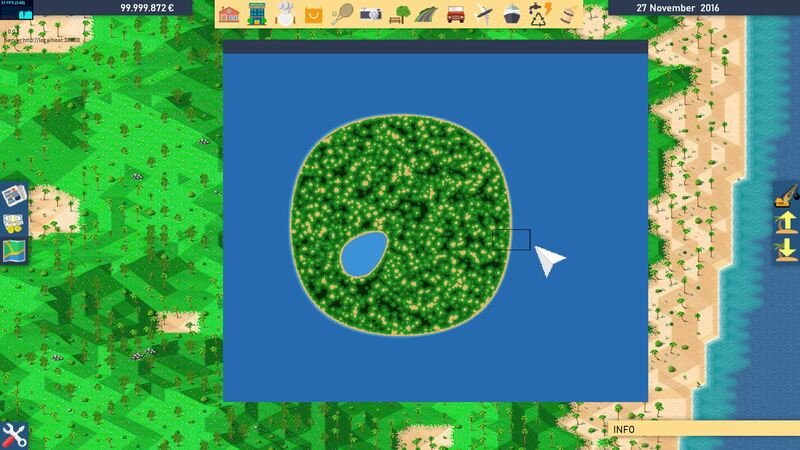 With the last update with the pseudo-random generator we can now generate different types of the same buildings for each field. 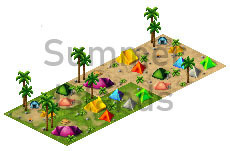 Here, for example, different types of campsites. But we also try to maintain the personal holiday resort of each player. Because for everyone it is important to create something unique in the game. That is why our parking system is shown here again. 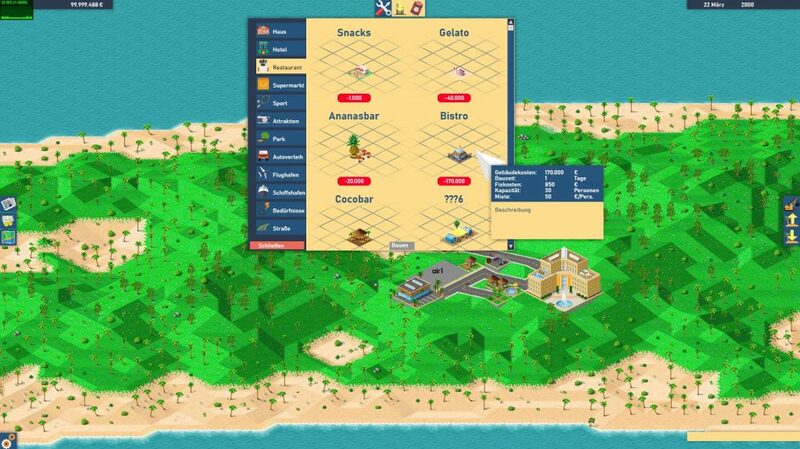 With this (pre-)system we want to promote the creativity of every player to make his holiday resort as individual as possible. Another building we have created is a gourmet restaurant. Not revolutionary! But there will also be cheap buildings and expensive variants of restaurants. This gourmet restaurant is one of the more expensive buildings and will earn a lot of money if it is placed in the right place. Something more sophisticated is the water hotel. This can of course be rotated to adapt it to all different coastal variants. Due to its modern style, this building will also be one of the more expensive hotels. The difficult thing is the positioning at a suitable coastal location. Of course, the fun for the tourists should not be missing. That is why we have designed an open-air swimming pool. However, the building is not located around the luxury sector like the others, but rather in the cheaper sports buildings. Also with these buildings the difficulty lies to find the suitable coastal section. And of course, what should not be missing in an open-air swimming pool in the sea: The sharks. As sabotage possibility or as natural disaster in form of an overpopulation sharks can reduce your profit of course. We are still thinking about how these occur in the game. But they will definitely be part of it (For the laser shark friends: we are still considering whether these will fit in Summer Islands;) ). Let us now come to the more serious topics of life. The basic needs of every tourist. We have designed a sewage treatment plant to meet basic needs such as water, electricity or waste. Just like the other buildings that meet basic needs, a sewage treatment plant can only serve a certain number of tourists. So you always have to have the right number of sewage treatment plants for the number of tourists in a resort. Other buildings such as hotels naturally do not want to have a sewage treatment plant next door, which makes the location for a sewage treatment plant more complex to find. Like the sewage treatment plant, there is also a landfill site, which has the same characteristics. The location for a landfill is more difficult to find because no other building wants a landfill next door. But on the other hand, a holiday resort needs a certain number of garbage dumpers depending on the number of tourists. once again, the days have just gone by. We work with high pressure whenever we can on Summer Islands. It’s really great when you look at the updates of the last months, how more and more come together. Slowly we try to do one or the other long-term test to test the stability. First we created a mathematical pseudo-random model in the last weeks. We needed a calculation that always created one and the same random number at the same position over the entire course of the game. We needed this calculation for a better landscaping. Above the lndschaft is to be seen without pseudo-randomness and below with. The difference is currently still small. But you can create a better game atmosphere later because the linearity is not so noticeable to the player. the last week in June there were a lot of little things to fix and improve. You notice that all the puzzle pieces are coming together and the early access is approaching. – At the beginning we added the total costs in the annual financial report. Because you want to know at first glance the exact losses/gains of recent years. – For a better differentiation of buildings and land we have limited the black and white effect to buildings only as soon as you click on one. 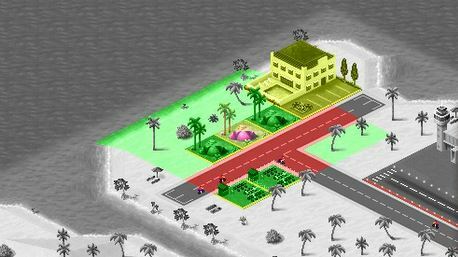 Since clicking on a normal natural field does not require any colour preferences to be displayed, as is the case with buildings. – To improve the performance, the dark water was provided with a uniform click event. Thus the computer no longer has to check every field in the dark water to see if it was hit by a click. – Furthermore we have made the window clearer which opens when you click on a building. In addition, this menu can now be moved individually via the bar. Many more bugs have been fixed or ergonomic improvements have been made to make the game feel more relaxed and natural. There are a few bigger ideas that need to be integrated until early access. Nevertheless, a lot of game concepts are already integrated which would make a pleasant game possible. We look forward to integrating further major innovations in the coming weeks. With some delay because of the bad internet coverage here in Down Under comes the next update. The last two weeks we have devoted ourselves completely to the financial charts. These had previously only been implemented as temporary displays. Createjs offers complete freedom because there are no pre-built objects either. Therefore we have improved the axes labels and the legend of our previous tables. Since you don’t always see in detail in the table in which point you have how much money, there is the additional function to move the mouse over a name and thus display the exact numbers in the table. There are two different tables. On the one hand, there is a monthly table that displays 12 months by month. On the other hand, there is an annual table which always shows 10 years at yearly intervals. We have also created new textures. 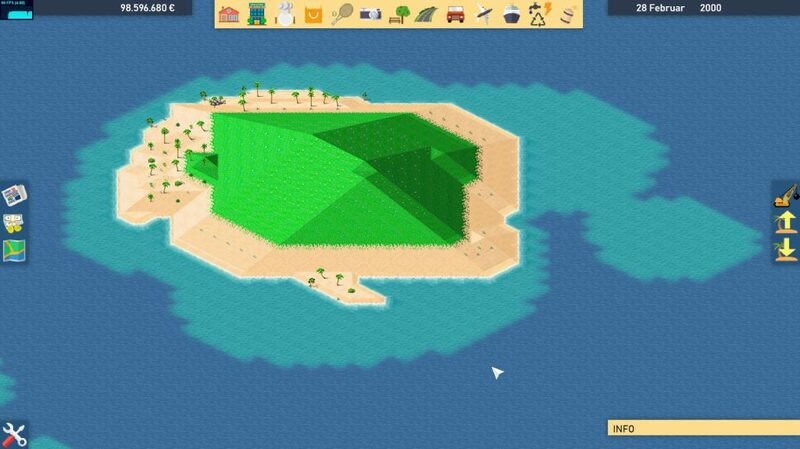 There we are currently working on a parking system that you can create individual parks from individual blocks. Unfortunately this time a few weeks have passed since the last update. We had already worked on some innovations. But unfortunately, we were interrupted this time by a few complex FPS break-ins. Therefore we contacted the Engine Creators of CreateJS and we have to THANK YOU for this! Quick and competent help! I really need to do a little promotion for CreateJS: Freedom and performance! 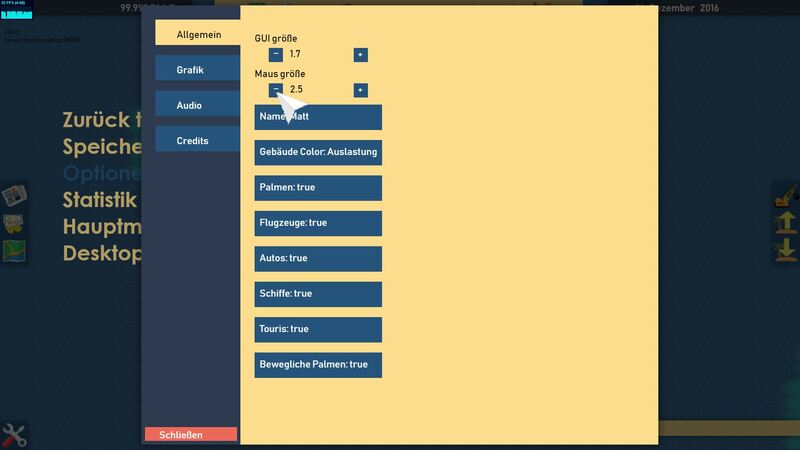 In the last update we introduced the GUI scaling. Right afterwards we added the MOUSE scaling. So that you can enlarge the size of a mouse that is too small. This makes it more relaxed for the eyes. Everyone as he wants. After we got the FPS break-ins into the grasp we turned to the Minimap. This had been half finished in the last versions. This time we changed the structure of Grundauf. We removed the scroll buttons and let the map always scale to window size. This reduces the readability of larger maps but increases the game feel to the size of the map. With the minimap you can get to the desired position in the normal map with a left click on the minimap. You already know that from the standard strategy games. This makes the game much easier to use. I hope you like it. this time we worked on two different things. The first one is more a correction from the tornado and the clouds. In the past we hadn’t a good animation of the tornado, clouds and dark clouds. So, we worked on our animation to get it more realistic and smooth. It took us a few days for just a small result. But it had to be done. There we saw the need for the GUI scaling. We already had it on the to-do list. But it was really important to integrate it now. If some people want to see some features they must see what it is and get the impression about it. So we added a new option where you can set the GUI scale from 1.0 to 1.7. That is really the maximum for the option window. With these big buttons it is really nice to play, also with touchscreen. 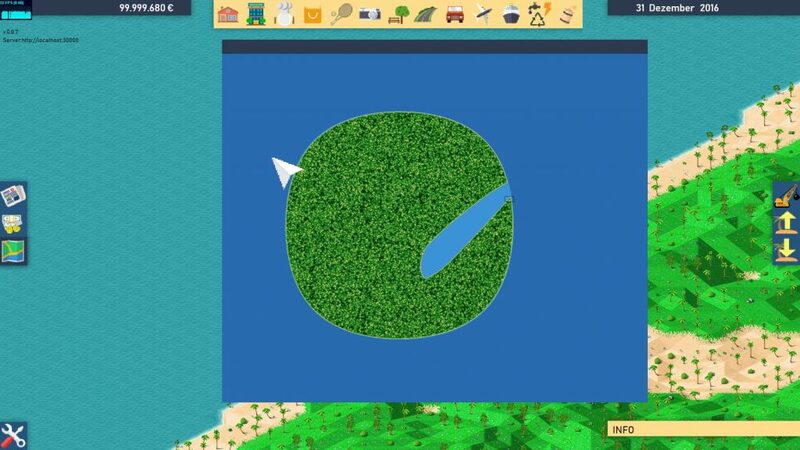 Maybe we can add a touchscreen mode or a pen mode or something like that. Also It would be nice to create a Smartphone version or a Console version. So for this loading time in the beginning we integrated a small preview movable animation. We can change this easily in the future if we create something better. Additionally we use this black loading screen also if you start a match. But unless you play a bigger map the game needs only a few seconds to initialize. i’m writing here from down under and today we have a bigger update to announce. In the last weeks we worked on a better illustration about the impact of a building to another one. 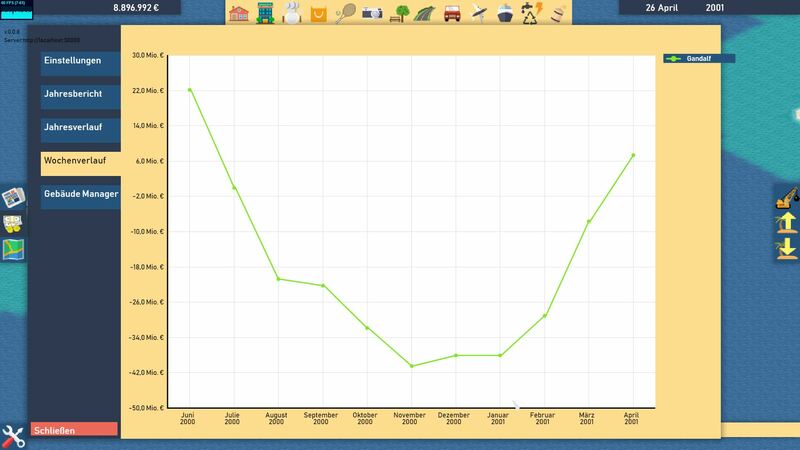 So if you build a building the building gets a normal popularity depending on the position of the building. But with a nomal popularity your earnings are only a little bit higher than your losses. So you can boost the popularity with the surrounded fields. 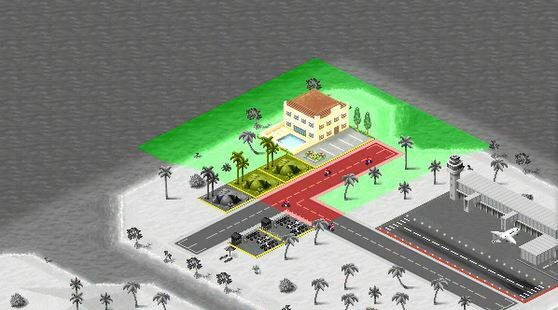 When you click on a building, the important fields are highlighted in three different colors (traffic Light principle). 2 fields in every direction. starting from the building. The other fields will get greyed out. GREEN (positive boost): All buildings that positively affect the selected building. So for example we selected a tent in the middle of the screen. Streets are always bad fields. The Tourists don’t like to many streets around a building. So the streets are red highlighted. The bigger hotel is highlighted in yellow. So it doesn’t effect the popularity from the tent. And in the end the green highlighted fields. The empty fields are always good. The tourists like free fields to lie down. So they will give the building a boost and also the bike seller on the other side of the road. after a small time of silence we have finally some news for you. 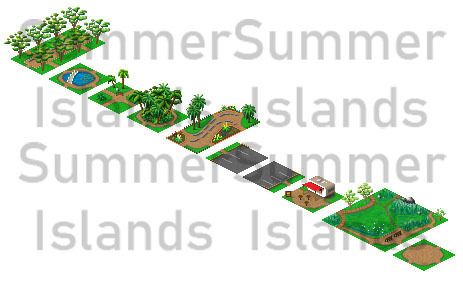 Back to Summer Islands and the new features. We already announced to work on some new plants and environment stuff. In the last weeks we implemented it. 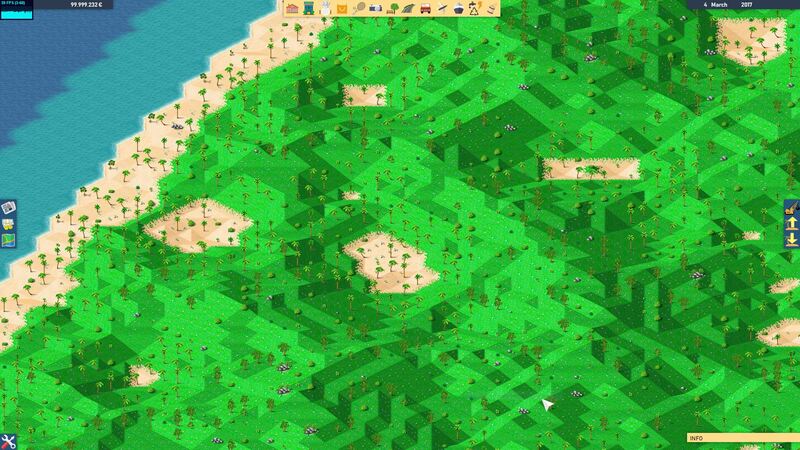 We still have some trouble to re-calibrate the amount of plants and stuff on the Islands. But it gives you already a better atmosphere in the gameplay. In the first row you see the bushes. They can grow and they are the first plants which starts to grow on an empty field. The second row shows the different stones in the field. In a field with a stone a tourist can not lay down. The third row gives you a look on the growth of a palm. From small in the beginning and sensitive for the tourists to the big ones in the next row. In the fourth/fifth row yo see the big palms. For a better perspective we added a different shadow to the big plants. The sixth we have something special for you. We created some mangrove. The trees will grow on the edge of the islands to the water. You already see the growing of these plants. 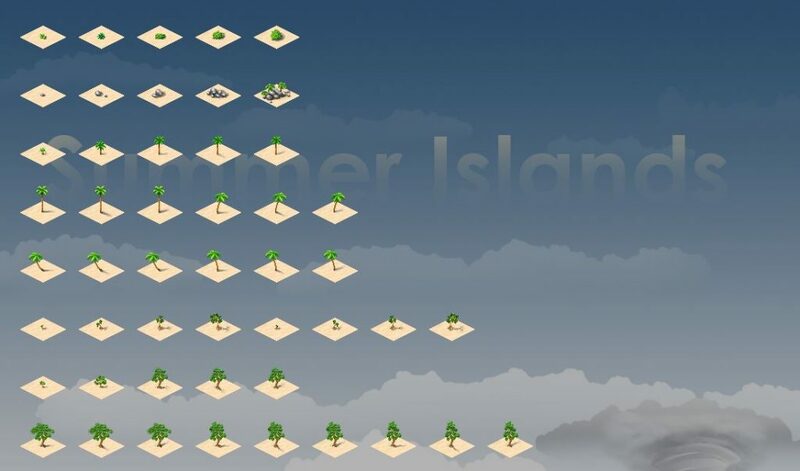 In the second last row you see the the growth of the normal trees. From small to the big ones in the last row. The trees will only grow in the higher levels and sometimes they have something special in it….. In the next days we have some more news for you. – CLIENT restructured plantsimplementation to add easier more plants.